Courtesy of Craig Fauver, Craig Fauver Real Estate. Open SAT 4/13 12:30 – 3 pm – New pellet stove 4/2019, Roof re-shingled, bathrooms and kitchen renovated in 2018. Escape the city and live in a charming home on a serene lot at Moyaone Reserve. Vaulted living room ceiling creates an impressive light-filled ambiance. Recently remodeled kitchen and bathrooms with fine materials. 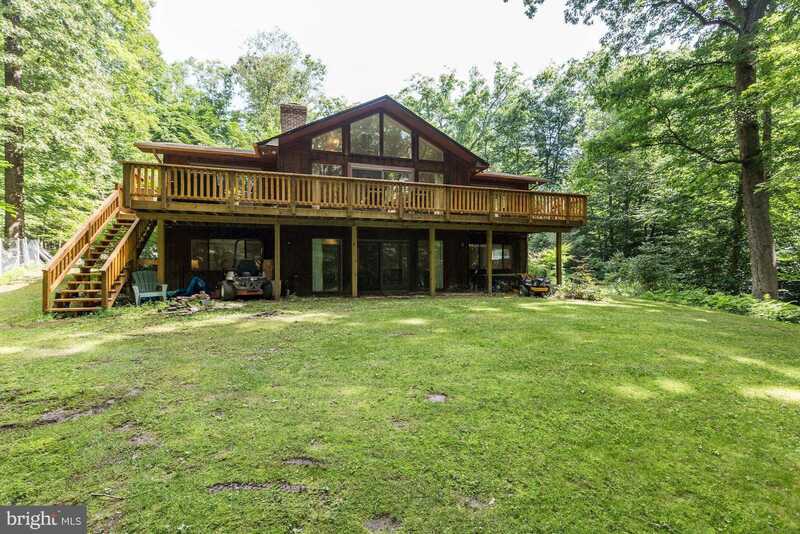 A spacious front deck and an extra large back deck give ample opportunities to enjoy the outdoors. Fios available. Central vac.